Thank you for planting the giant patch of purple zebra striped iris bulbs out back by the garage. Wow. I realize you did not plant them with me in mind, but I feel as though they were put here especially for me, seeing as very few people on the planet could, or would, appreciate them as much as I do. Let’s face it: this is destiny. I don’t know where you live now, but if I did, I would secretly dig up your yard in the middle of the night and plant you something pretty just to repay the favor. Except that would be creepy. And possibly illegal. Maybe I can make them into a hat and send your way instead? If I tell you I used to live there would you send me the hat??? I love hats. And Iris’. Beautiful! They could be forty or fifty years old, or older. They are the more traditional type of iris. Cut a big bunch and enjoy them inside. You are so lucky! I have been trying to make the iris’ left to me bloom for years with no luck. I really am curious to see what color they are now! Bloom lil Iris bloom….you are much loved! They are gorgeous, Auntie Peaches… enjoy them with gratitude. I know you are doing just that. When perennials pop up this time of year, it is such a thrill, ’cause so many of ours are connected, “if you know what I mean” (Neil Diamond, for whom there is an Iris named!). About ten years ago, I received an unexpected package from my dear friend, Lynn; it wasn’t my birthday or Christmas. 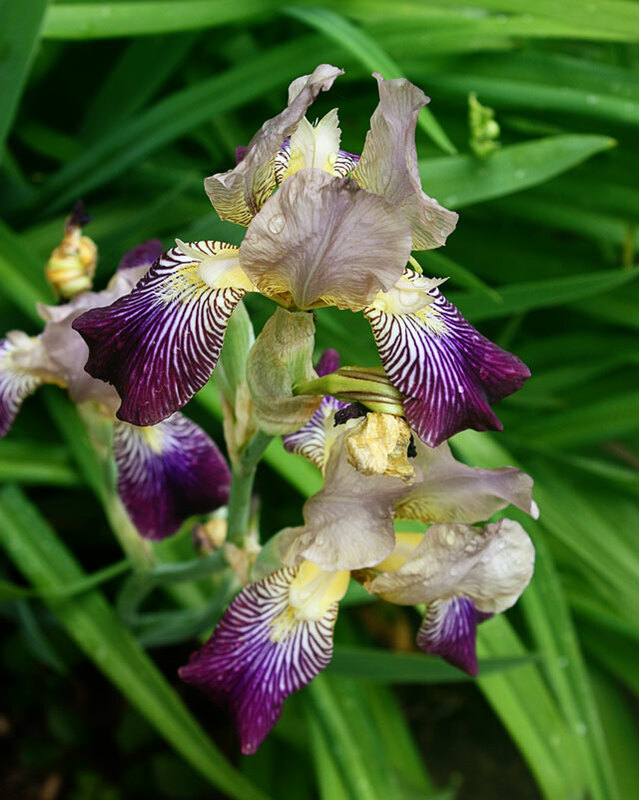 It contained six rhizomes, each for an exotic Iris. She died within a few months and didn’t live to see them bloom. Her un-birthday gift became a treasured remembrance of her magnificent inner and outer beauty. what what what? THERE IS A NEIL DIAMOND IRIS? Thank you so much for planting those Iris! It gave Aunt Peaches a big psychic hug, which she in turn shared with US! They’re lovely!